My mother loves tennis. 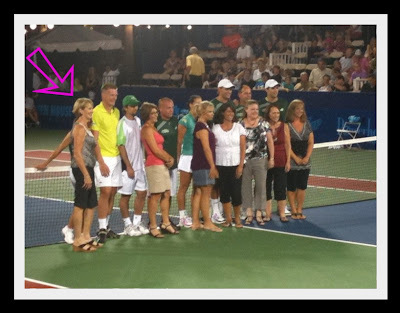 She loves tennis more than just about anything (except her amazing family, of course)! She loves tennis so much and is on so many teams and does so many drills and takes so many lessons that I can't keep her tennis life straight. So, I'm sure I'm going to botch this. BUT her Tencap team won (I'm not sure what Tencap means or what they won, but it was a BIG deal). So tonight they were recognized at the Explorers game. For those of you who don't know, the Explorers are Kansas City's professional tennis team of which the Bryan Brothers are a part. 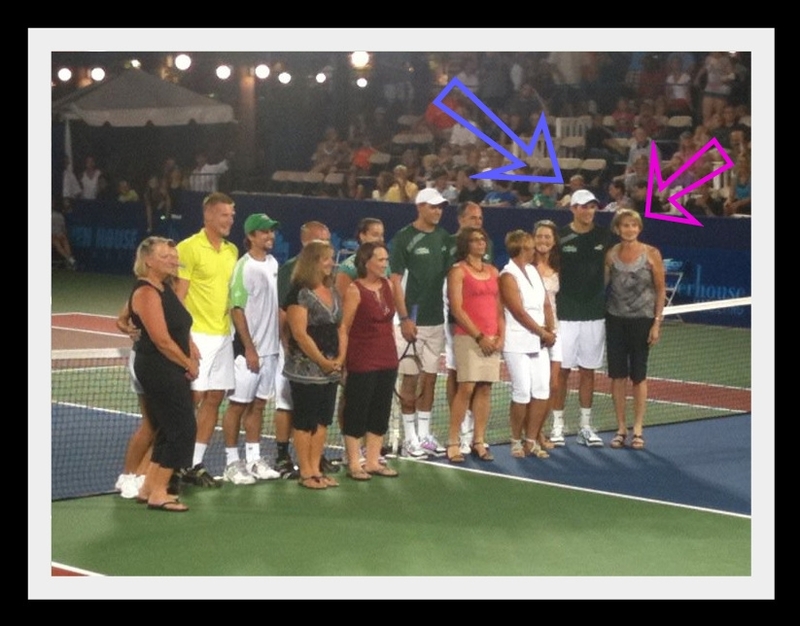 Again, if you don't know, the Bryan Brothers are pretty much the best doubles team out there -- in the world. They were playing tonight and my mom's team got to take their picture with the Bryan Brothers b/c they won their Tencap league (or something). And then look at how she's putting a move on one of those Bryan Brothers! And with my dad watching and everything!! Congratulations, Mom!! I'm proud of you!! !